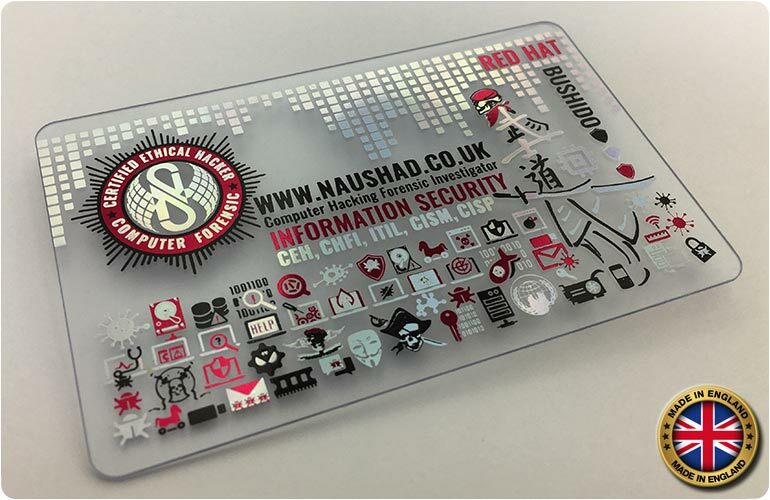 Our transparent cards have always been incredibly popular with our customers and we take as much pride in printing them as you will take in handing them out. 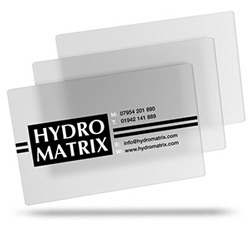 Our transparent business cards are a solid semi-transparent plastic with a high quality frosted finish plastic that diffuses the light as it passes through to create a frosted effect. 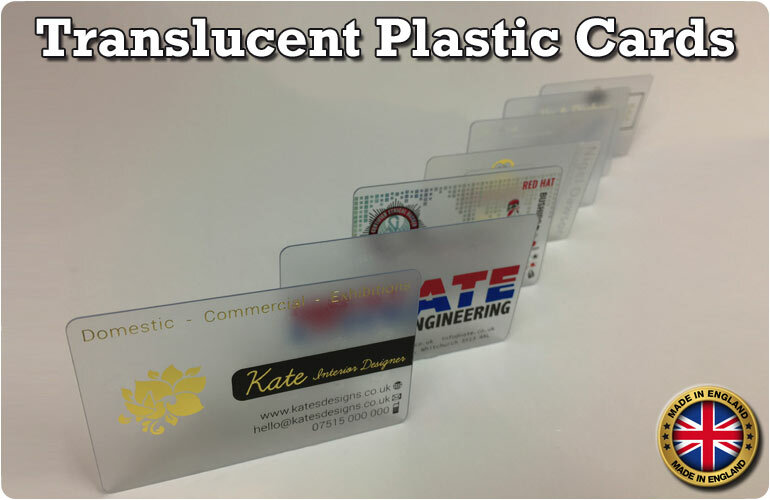 Our translucent frosted plastic cards are 760 microns thick (0.76mm) and measure 86 x 54mm with rounded corners. 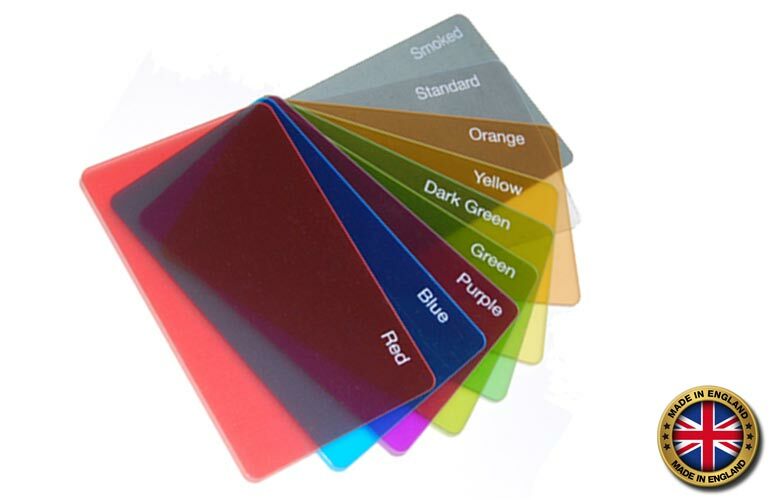 They can be printed with upto 4 ink colours from our stunning range of metallic and pigment colours. 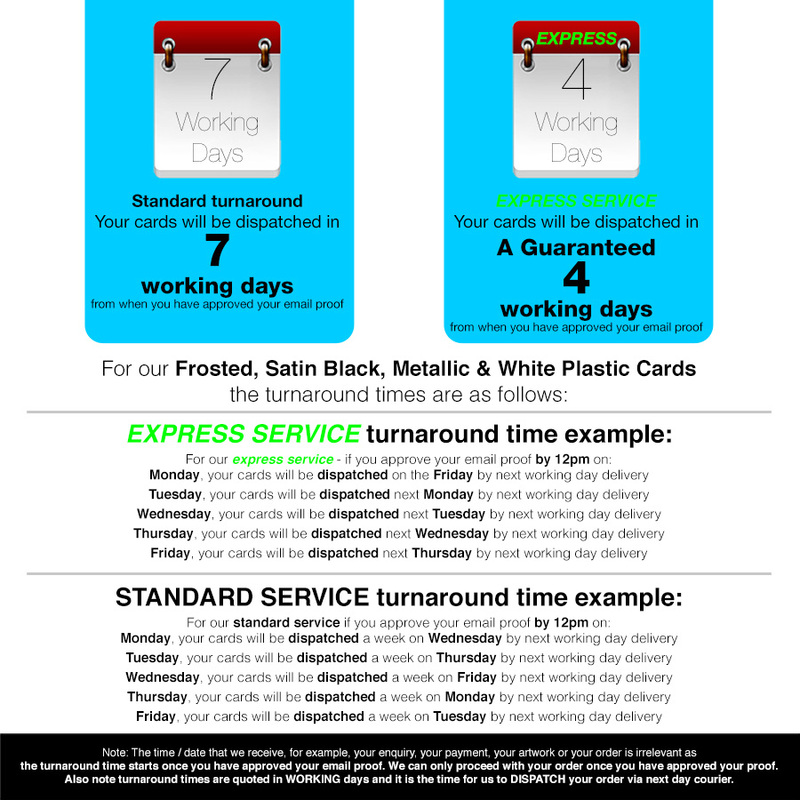 Our state of the art automated printing machinery ensures perfect printing for each and every card with perfect registration and fast turnaround. 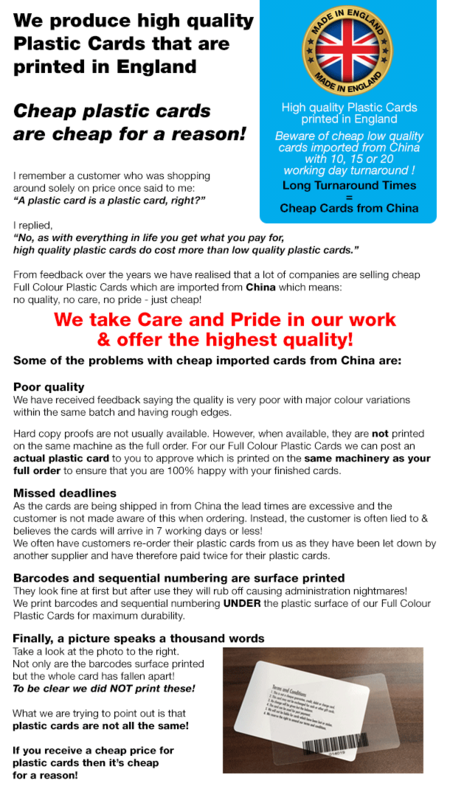 All our Cards are printed in England, they are not cheap imports from China. 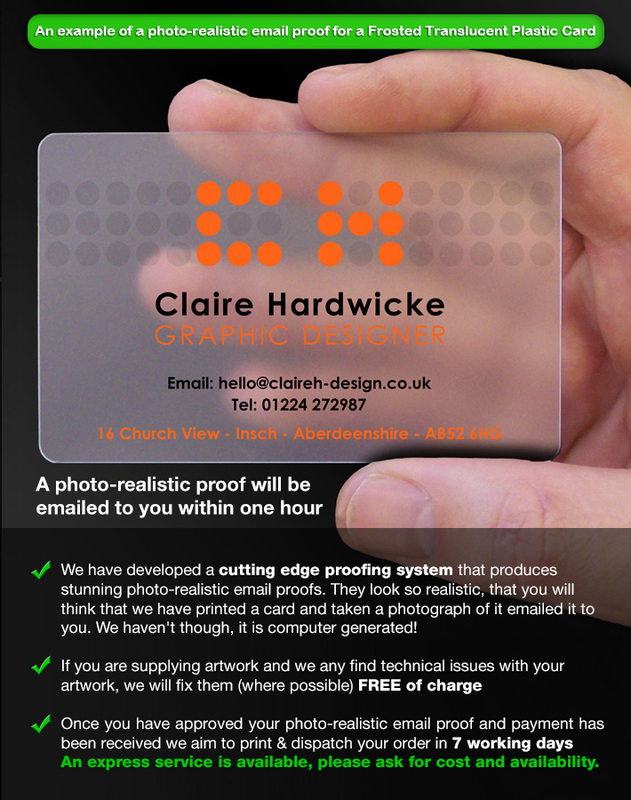 We email a photo-realistic proof to you for approval before we proceed with printing your transparent business cards. 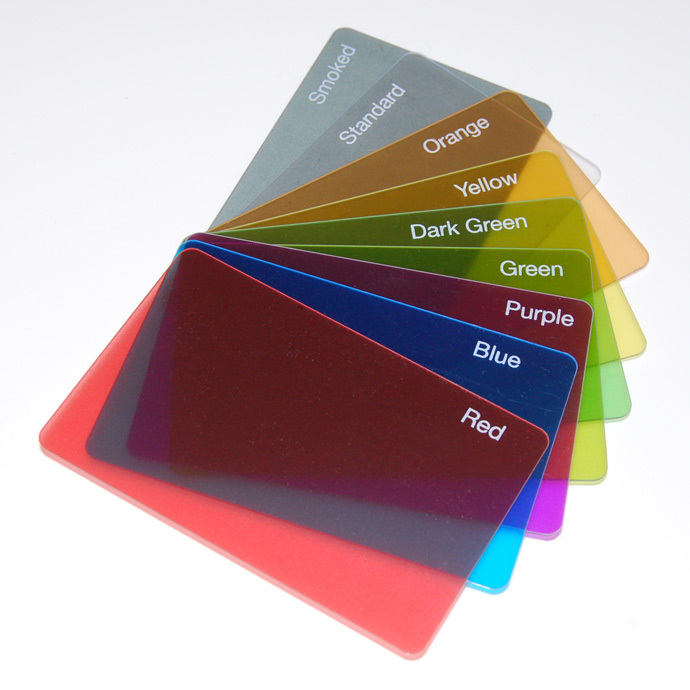 We have lots of stunning metallic colours and vibrant pigment colours. 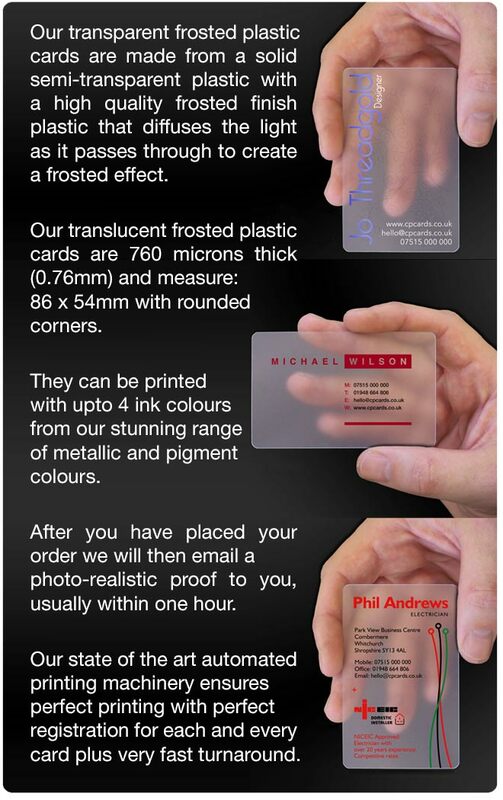 We have lots of photos and videos showing the colours printed on Transparent Frosted Business Cards. 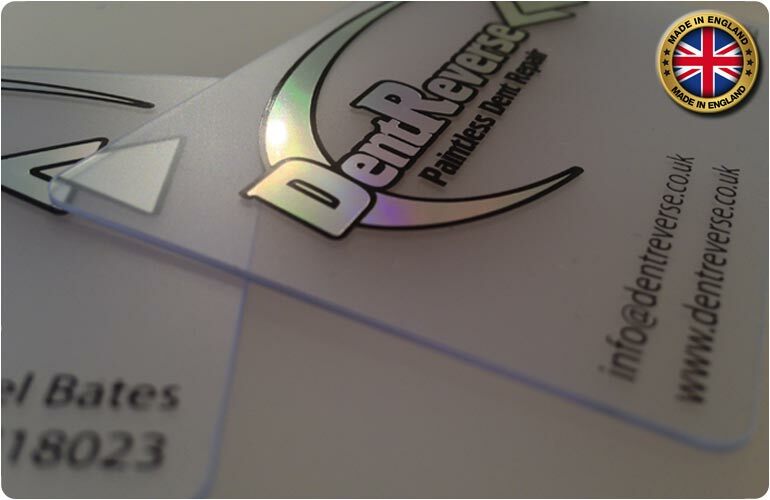 We can print clear ink on the back creating a subtle watermark when viewed from the front. The areas printed with clear ink are more transparent than parts not printed with clear ink. 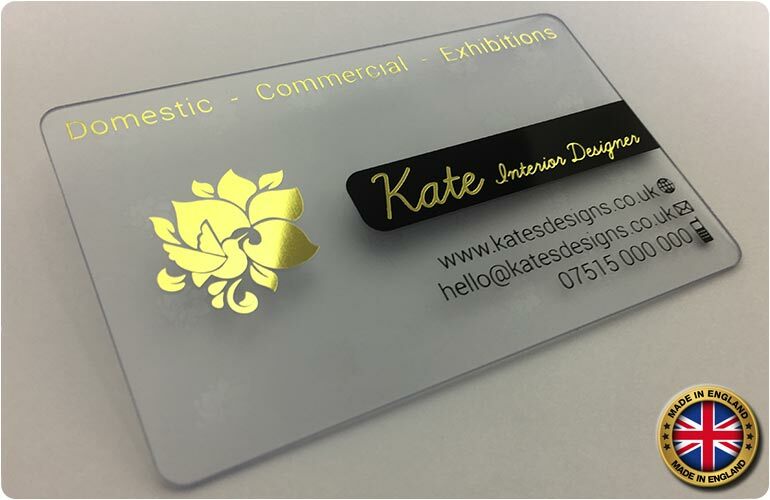 Our Transparent Plastic Business Cards are a solid plastic that diffuses the light as it passes through to create a frosted effect. 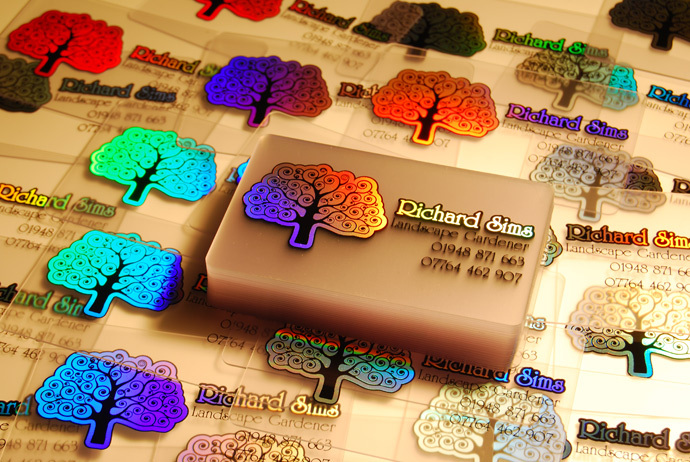 They can be printed with upto 4 ink colours from our stunning range of metallic and pigment colours. 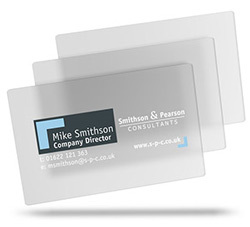 We also offer a range of tinted transparent frosted business cards in additional to the standard cards. 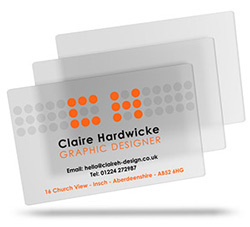 We have many examples of Transparent Frosted Business Cards to give you ideas and inspiration. 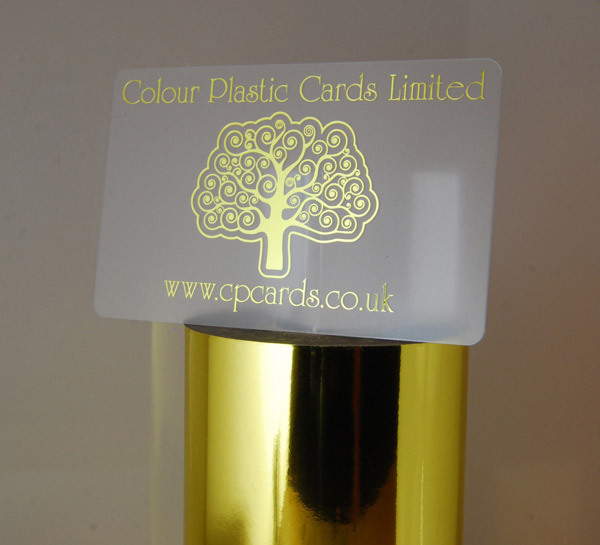 Our translucent business cards are very high quality and are printed in the UK by a hot foil printing process. 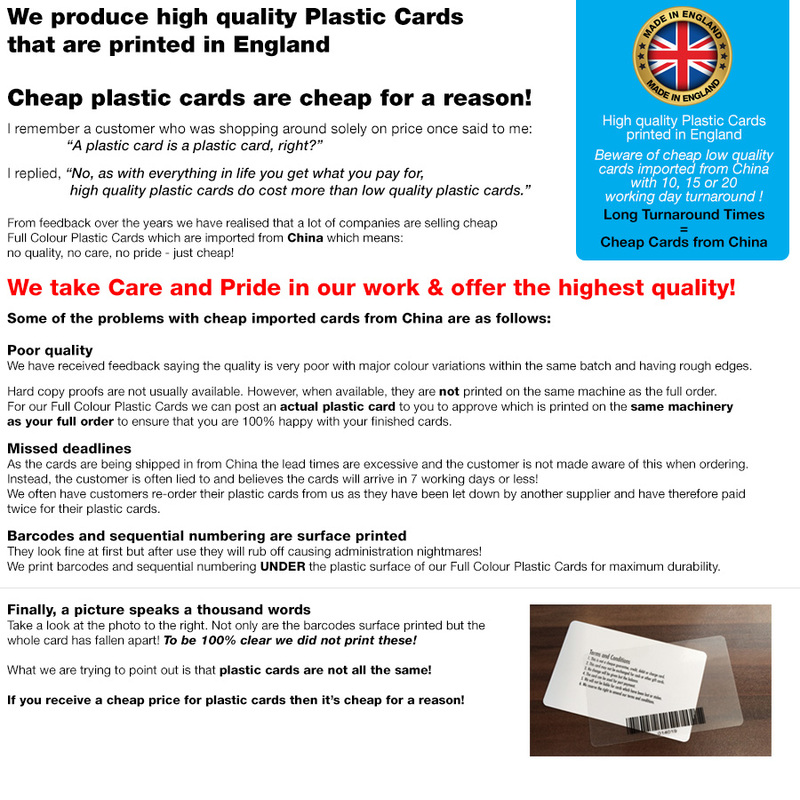 Email your artwork to us at sales@cpcards.co.uk, for artwork specifications etc see our artwork guidance page. 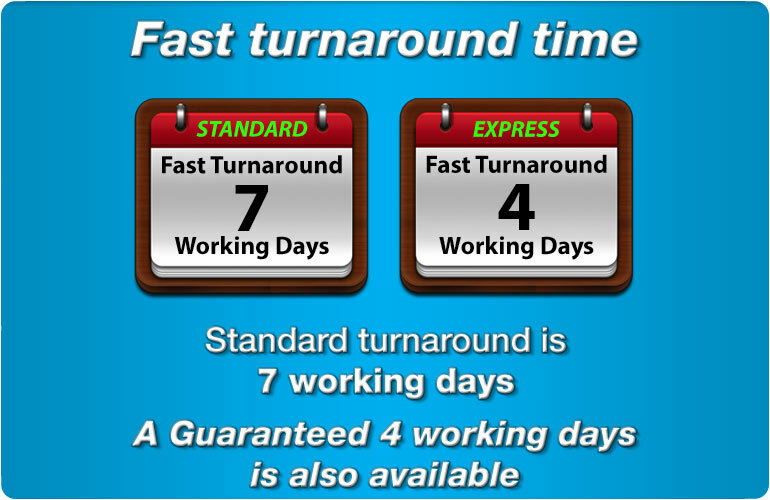 To help you we can fix technical issues (if possible) with your artwork free of charge. 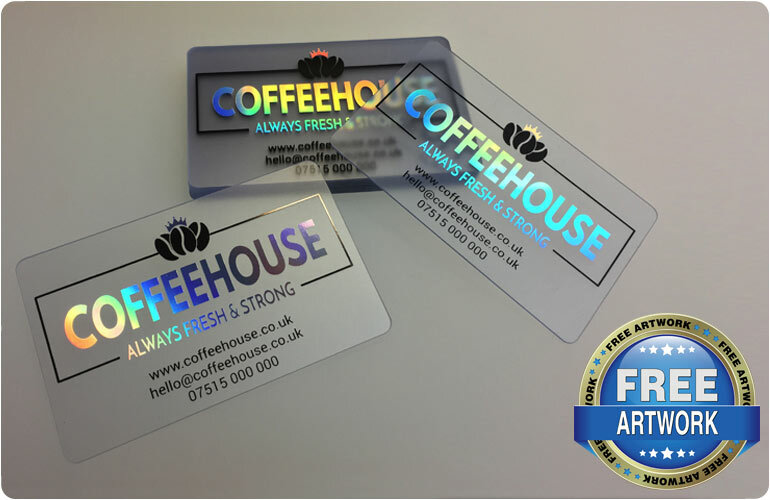 We are a leading UK company that has manufactured durable translucent business cards for many years and most of our work is repeat work from our many happy customers. 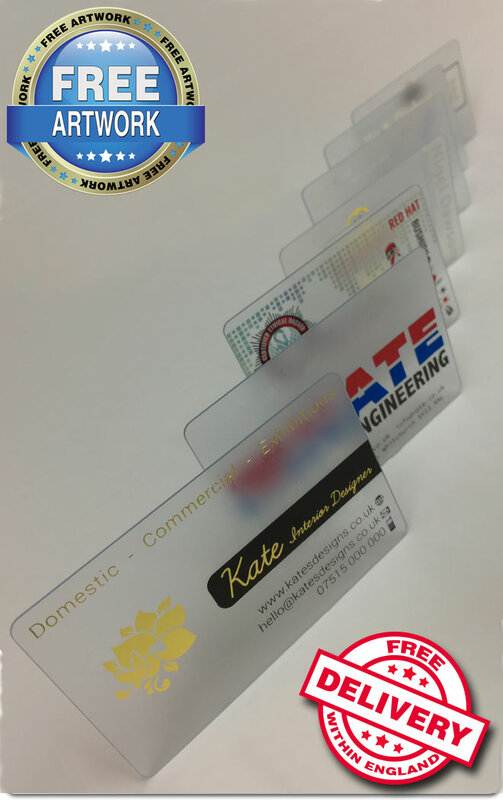 Our transparent business cards are also referred to as: clear plastic or clear business, translucent or transparent or see through business cards. 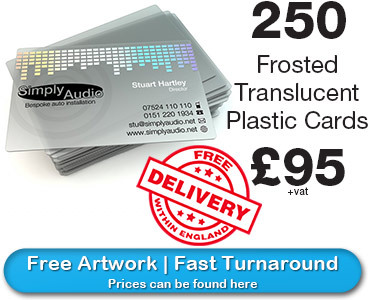 The frosted plastic is very high quality and you will find our prices are a lot lower than our competitors plus along with low prices we also offer very fast turnaround times. They are popular due to their modern and professional image which results in them having instant impact to your prospective customers. They can be printed with up to four ink colours per side but simple designs with just one or two ink colours can look stunning. You can email your artwork to us at sales@cpcards.co.uk, for full details regarding sending us your artwork see our artwork guidance page. 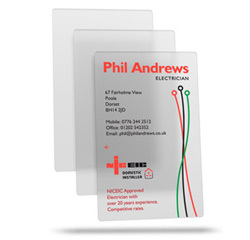 If you are after for a modern looking see through business card that is a bit different then our these are ideal for you. 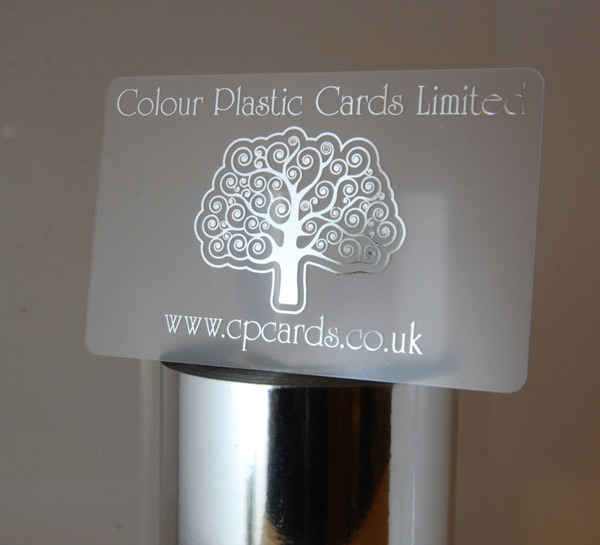 They are 760 microns thick and are semi transparent with a frosted finish. 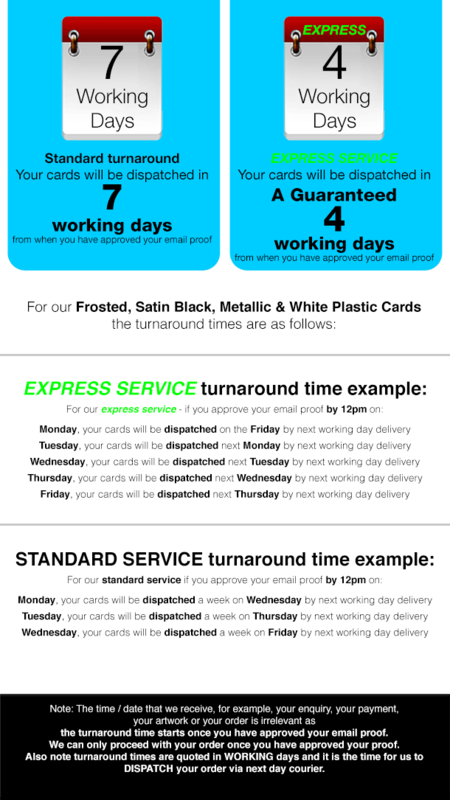 We are a leading UK company that has manufactured these stunning cards for many years and they continue to impress people time after time. 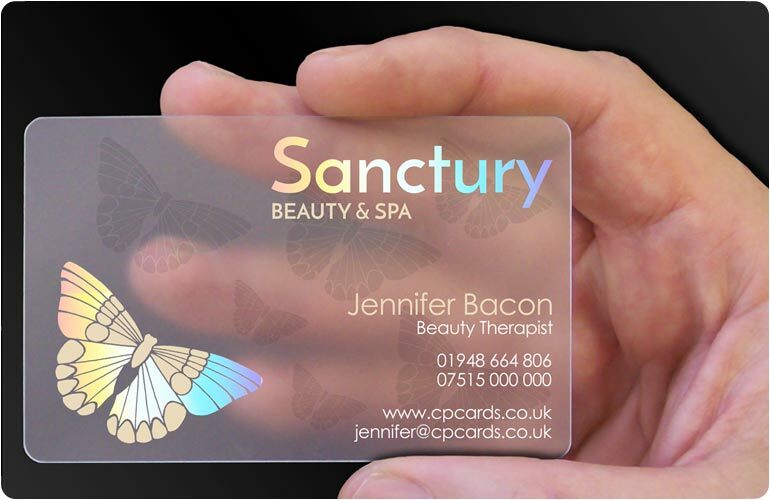 Our frosted cards can be printed in a wide range of gloss or metallic colours, also available is holoprint which reflects all the colours of the rainbow - it has to be seen to be believed - an example can be found here. 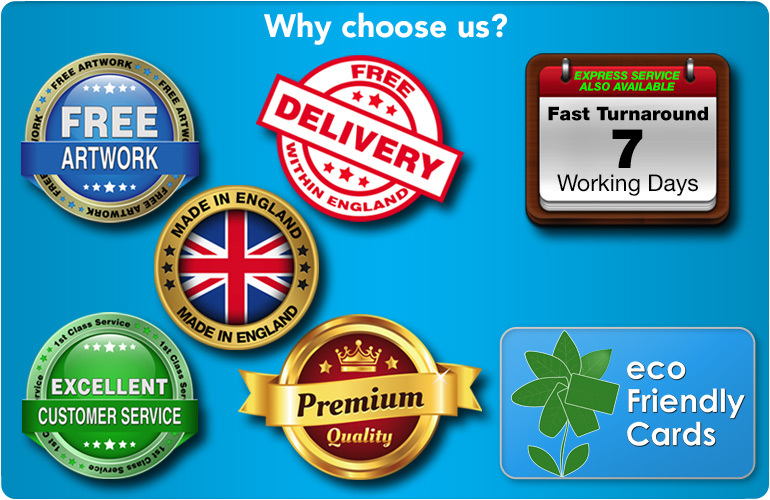 We can print upto 4 ink colours, on one or both sides. Each colour is printed individually (like spot colour printing as known in the trade), it is not possible to print shading or halftones/gradients, very small fine/intricate detail can be lost due to filling-in when printed and large areas of print coverage are also not available. Small details always make the difference - For every business owner, being on the market means a fight. A fight to get the attention of customers. To make them loyal and for them to trust your services and products to such a degree that they will recommend your brand to others as well. How do you achieve this? By being careful about your services and products, about your image and about what your clients have to say. The market is not what it used to be. Today, every little detail can make the difference between being successful and failing, because clients are pickier than ever. Never settle for less and do not compromise the quality of what you provide, even when it comes to the business cards you offer to your clients. Yes, even something this small can draw the right type of attention, or not. Just like you wouldn't appear in front of the client wearing a T-shirt and sneakers because you care about your image, you should also care about the image of your brand and business. 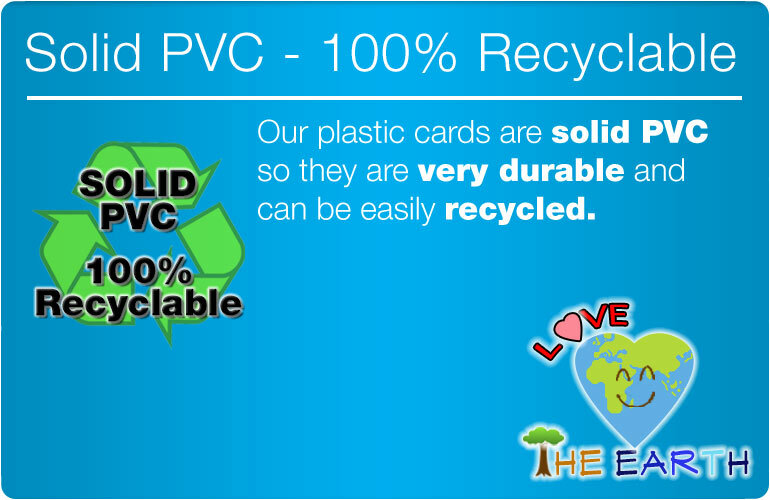 A clean office, a nice logo, and high-quality translucent business cards are details that show you care. It is true that paper business cards can be cheaper, but you risk for clients to see you this way as well. Just think about what happens if your customer puts the business card in the pocket of a jacket and is caught by rain, or the jacket ends up in the washing machine. Yes, all the contact details mentioned on the business card will be unreadable. Thus, there are high risks for the customers not to get back at you, as they no longer have your contact details. It is your reputation at stake, so offering quality products and services should be a priority. 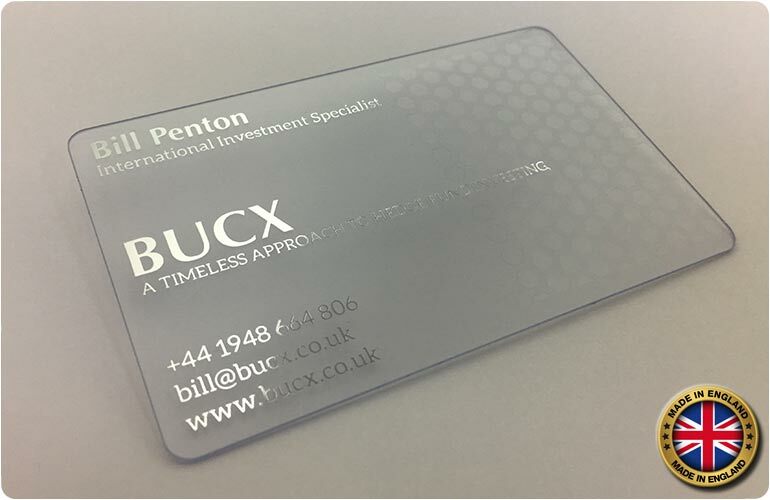 If you wish your clients to enjoy the best products and services, tailored to their needs and requirements, why would you offer them a paper business card? It comes in contradiction with your concept of providing quality to clients. 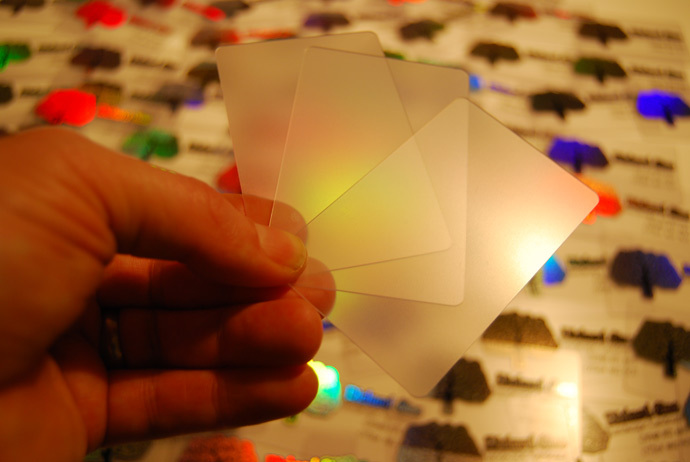 Such a strategy will not bring you the desired results, if you want to impress issue a translucent business card. 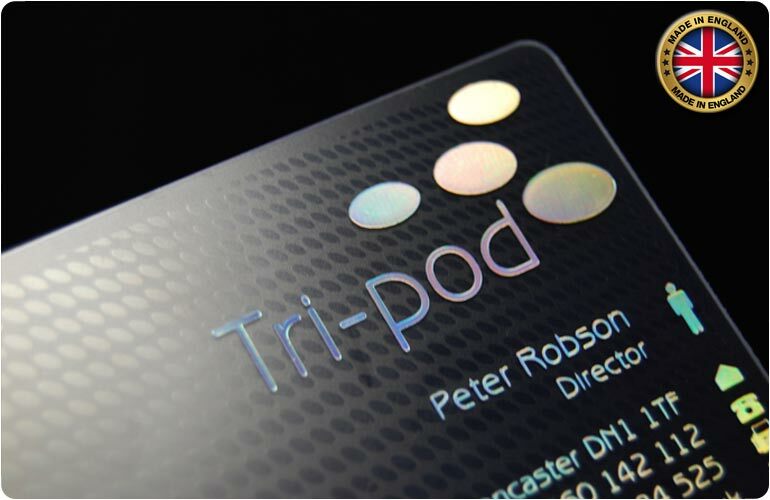 It is true that the translucent business cards will cost you a little extra, but it is an investment you will make rarely. They are more durable and keep their great and appearance for a very long time without becoming dog-eared, even if they are subjected to water, moisture or are not kept in the best conditions. 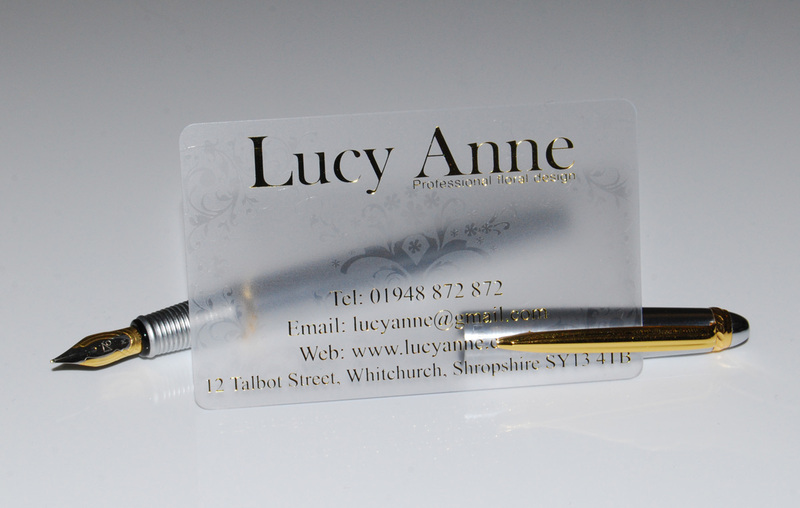 They can be personalised to reflect the image of your brand. 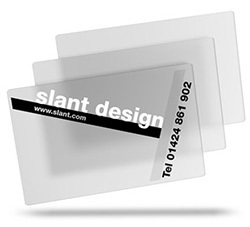 In case you want to find the best quality, service and prices on the market, when it comes to translucent business cards and find the best designs, you need to turn to a reliable partner for this. Again, it is a matter of preferring quality over quantity, a detail that will surely be noticed by everyone. Also, when you are managing a business, you want to be sure that its funds are spent wisely, not thrown out the window. This means putting your money in something durable, of high-quality and representative for your brand, without putting the budget in danger. If you don't think such a thing is possible, then you did have not spoken to the right person yet. Look in the right place and you will see that quality services are not necessarily expensive or rare. So, are you ready to offer only the best there is to your clients? 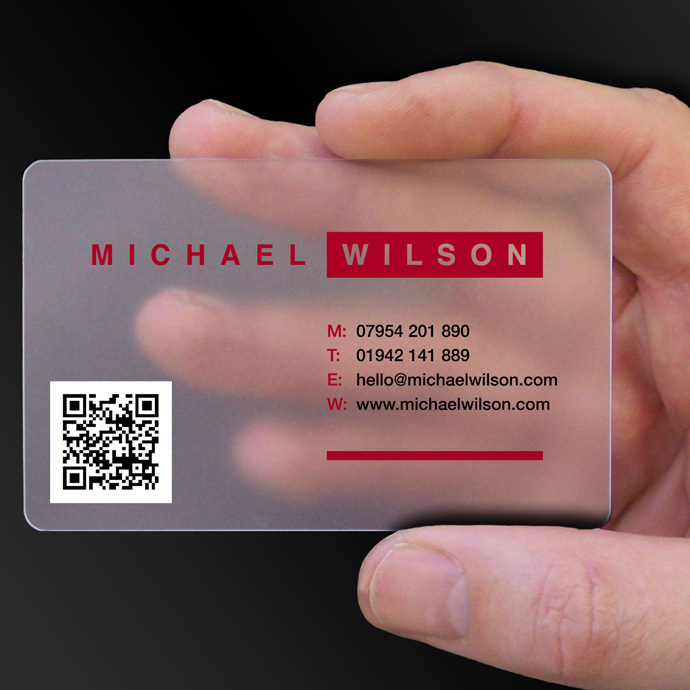 The translucent business cards should be a part of your brand. Don't be like the rest and choose to give something sub-standard, in a sign of appreciation, for everybody that is willing enough to trust your brand. 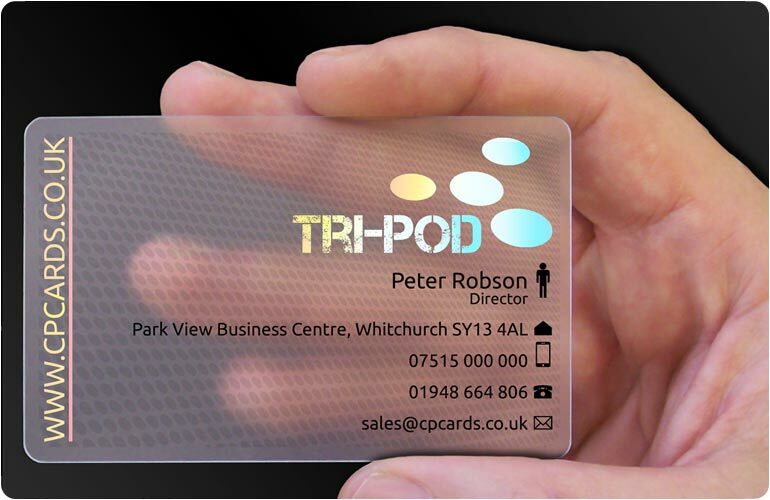 Have in mind that the translucent cards you offer to someone, may be a great mean of marketing as well. Anyone in the entourage of the person bearing the card will want to know more about it, including who produced it. Everyone wishes to be a part of an exclusive group, where quality, reliability and appreciation is prime. Thus, do not lose the every opportunity to promote your brand and show your customers, including potential clients, that your services and products are worth it. With the high number of companies that strive to make it on the market, a well-chosen detail is more important than it ever was, having the power to put a brand on the top of preferences.